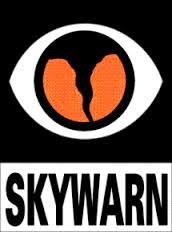 The National Weather Service (NWS) in Binghamton has started spring SkyWarn training. They have both On-line and local training classes available. I can personally speak of the great job the NWS Binghamton office does with this training. A quick update on the progress of the Yaesu Fusion repeater in Fulton on 147.390. I now have all the components on the bench - DR-1X. Arcom RC-210 controller. ADR external interface, HRI-200 WiresX interface, Echolink interface, laptop pc and a spare duplexer and will be working diligently in the evenings to get everything working correctly. There are a few unpublished quirks concerning the repeater that Yaesu didn't tell us about when first released, and a few typos in what docs they did release. All in all it looks to be a worthwhile and doable project. The GE Mstr II was taken off the air Wednesday and in it's place is a loaner Kenwood repeater that is putting a signal out on the air during the transition to the DR-1X. I have no timeline when the DR-1X will be placed in service. 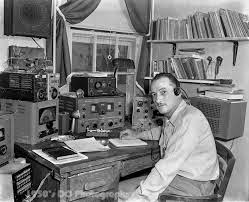 A special shout out to Jack, W2QYT, (keeper of the Auburn double O) for the use of his spare "floating" baby repeater allowing me to keep .39 on the air, and to the other repeater guru's who have contributed to the 39 project! Check out this inspiring video, what have you made lately? Check out this video - especially those of you who have tried to contact the International Space Station or various satellites. 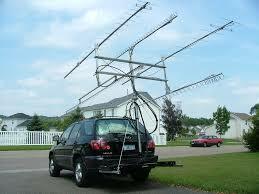 Even home built antennas in this one! We need some commercials like this in the USA to promote getting more young people into our hobby. We received a nice note today from WB2WGH, Ron in Liverpool, NY, concerning legislation impacting many amateur radio operators. Please see Ron's note below and consider contacting your elected Representatives to show your support using the sample letter that Ron has included here. "Many of us live in CCR () areas. Per the ARRL, the Amateur Radio Parity Act of 2015, H.R. 1301, has been introduced in the US House of Representatives. The measure would direct the FCC to extend its rules relating to reasonable accommodation of Amateur Service communications to private land use restrictions. Great video sent by one of our UpstateHam.com contributors. Watch this tower fall! The Fulton WN8Z/R, 147.390, went Yaesu System Fusion Wednesday evening. The first Fusion digital qso between WA2ISC and myself was a complete success! The repeater is currently set in "Auto/Auto mode. This means that digital in = digital out & Fm in = Fm out. This setting will remain until Saturday evening, Mar 14 when the Ge Mstr II will go back in service. The system will remain inconsistent during the week as we experiment and continue working on upgrades in the repeater shack. Hopefully the weather will cooperate soon for the antenna upgrade. Analog audio quality is exceptional using the internal controller and I am very pleased with the digital quality. Saturday, April 18, 2015, Amateur Radio VE exams. Registration is from Noon - 1 p.m. for Tech, General or Amateur Extra levels. Held at the Liverpool Public Library, 310 Tulip Street, Liverpool. Applicants should bring 2 forms of ID, one with your picture; and FCC exam fee of $14 (cash or M.O.). Exams are held quarterly and are sponsored by the Syracuse VE Team. The 224.90 repeater in Newark has some updates according to the trustee N2TKR; Tom. 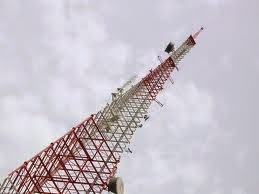 The frequency is 224.90 (-), and a PL tone of 82.5 has been added. It is located at the same site as the 146.745 Drumlins repeater. It is on the air, with a new receiver and Tom has also added a link to the KA2NDW repeaters. I am receiving it full scale here, 10 miles south of Auburn and I can bring it up DFQ with 10 watts. Give it a try some time.